off parts purchased over the parts counter. Coupon not valid with any other offer. Must present coupon or show smartphone at time of purchase. Limit one coupon per person. Coupon does not apply to prior purchases. Other Restrictions may apply. Void where prohibited. Breakdowns happen when you least expect it and often at the most inconvenient time. Whether looking to head out on a road trip or scrapping by financially, a Chrysler, Dodge, Jeep or Ram malfunction is the last thing you want. At Suburban Chrysler Dodge Jeep Ram of Farmington Hills, we provide a shadow of hope during even the grimmest breakdowns. Here in our convenient Farmington Hills location, we have an extensive inventory of genuine car parts and corresponding specials. 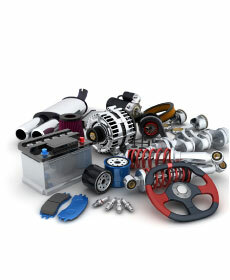 Our parts specials slap savings on a diverse set of parts, leaving you with plenty opportunities to save. Even if you can't quite find what you are looking for now, you are bound to find your desired savings eventually. Can't wait for that right coupon to spring up? Let us know, and we will see what we can do. We take what our customers have to say seriously and are committed to providing them with the tools for a painless car ownership experience. You can't always rely on your car parts to work effectively, but you can rely on us at Suburban Chrysler Dodge Jeep Ram of Farmington Hills. Start savings with our help today.